Since the release of their first LP ​Are You In or Out? ​In 2009, The Gro​wlers have forged their own twisted path on the global music scene. They’re the party band that grew into a traveling circus of psychedelia that spawned their own event, Beach Goth. Lead singer Brooks Nielsen draws a particular devotion among Growlers fans, as does chief cohort Matt Taylor, The Growlers’ music director and chief guitarist. Their most recent LP was 2016’s ​City Club,​ produced by Julian Casablancas, which saw them expand their palette to include West African, dance, and electronic influences. The band is currently in the studio with Jonathan Rado (Foxygen) and Shawn Everett (The War On Drugs) and preparing for their Beach Goth World Tour 2018. In anticipation of the new album, City Club, next week by The Growlers, VICE/Noisey has premiered the new song, “Night Ride”. The album was co-produced by Julian Casablancas (The Strokes / Founder of Cult Records) and Shawn Everett (this year’s Grammy Award winner for his work with Alabama Shakes). City Club was recorded earlier this year in Everett’s studio in downtown Los Angeles, which served as inspiration for the album title and cover art. Known for their relentless touring schedule and DIY work ethic, the band is one of the most exciting independent success stories of recent years. From the disco skronk of title track “City Club” to the William Onyeabor-inspired Afrogroove of “I’ll Be Around,” the record marks a twist on their Beach Goth sonics. It’s still a swirl of reggae, punk, ragged country, and twangy psychedelia, but now with prominent synthesizers, danceable beats and some serious anthems. The Growlers just kicked off their fall tour last week with multiple sellouts along the way to New York for release day at Webster Hall. The 20 date US trek culminates with a return home to headline their 5th Annual Beach Goth Festival on October 22and 23in Orange County, California. This year’s Beach Goth Festival lineup continues in the fine tradition of years past with a lineup that includes Bon Iver, Justice, Grimes, King Krule, Gucci Mane, RL Grime, Patti Smith, TLC, James Blake, Devendra Banhart, Nicolas Jaar, Unknown Mortal Orchestra, 2 Live Crew, Violent Femmes, Future Islands, The Drums, Melanie Martinez, Reel Big Fish,The Faint, Tricky, Sebastian, Albert Hammond Jr., Kali Uchis, Hinds, Gang of Four, Cold Cave, ThePharcyde, Leftover Crack, DJ Quik and more. The festival will be hosted by Eric Andre. Past artists have included Grimes, Mac DeMarco, DIIV, Die Antwoord, Parliament Funkadelic, Julian Casablancas+The Voidz and Sir Mix-A-Lot. Fans who purchase a ticket to Beach Goth will have the opportunity to pre-order a digital copy of the album. The album will be made available in both physical and digital formats, including standard vinyl, colored vinyl, CD and cassette. The 12″ double LP with gatefold vinyl packaging includes a digital download of all thirteen songs as 320 bit MP3s or 16 bit wav files. Exclusive colored vinyl will be made available in limited quantities from The Growlers and Cult Records websites, in additional to independent retailers across the country. The Growlers are an American band formed in Southern California who’s sound has been described as a trademark style of music combining elements of country, Mexican, surf, pop, punk, psych, and rock. Known for their relentless touring schedule and DIY work ethic, the band is one of the most exciting independent success stories of recent years. Cult Records is an independent record label based in New York, founded and run by Julian Casablancas. Releases include The Strokes, Julian Casablancas+The Voidz, Albert Hammond Jr., Karen O and more. Southern California scuzz rockers, The Growlers, share the first video for “I’ll Be Around” from their new album, City Club, co-produced by Julian Casablancas (The Strokes / Founder of Cult Records) and Shawn Everett (this year’s Grammy Award winner for his work with Alabama Shakes). The video was directed by Warren Fu, known for his work with Daft Punk, Depeche Mode, The Strokes, and HAIM among others. The video’s release comes just ahead of Beach Goth, The Growlers curated festival which takes place in the band’s native Orange County on October 22-23. Boasting one of the strongest festival line ups of the year, the slate includes The Growlers with Bon Iver, Grimes, Patti Smith, Justice, King Krule, Gucci Mane, RL Grime, TLC, James Blake, Devendra Banhart, Nicolas Jaar, 2 Live Crew, Violent Femmes, Future Islands, The Drums, Melanie Martinez, Reel Big Fish, The Faint, Tricky, Sebastian, Albert Hammond Jr., Kali Uchis, Hinds, Gang of Four, Cold Cave, The Pharcyde, Leftover Crack, DJ Quik and more. In addition, Eric Andre will MC both days. In addition, the band will be appear on KCRW’s famed Morning Becomes Eclectic this Wednesday, 10/19 at 11:15 AM PST for a live performance and interview. Fans can listen view online at kcrw.com or stream live on the KCRW Facebook page as well. The Growlers have announced the release of a new song, “Late Bloomers,” out this Friday, June 2. The song, originally a City Club outtake, was produced by Julian Casablancas and has recently made its way into the band’s current live set (https://www.youtube.com/watch?v=N7-DN47JYd4). Along with the new song, The Growlers have announced a fall tour that features east and west coast residencies (three-show runs at The Independent, San Francisco and Brooklyn Bowl, Brooklyn). The 25 show tour also includes festival appearances at Austin City Limits, Live Out and Crucialfest. In celebration of the end of their tour and the kick off to their Growlers Six festival, The Growlers have shared an unreleased track produced by Dan Auerbach of The Black Keys / The Arcs. “California” was recorded in 2012 in Nashville while the band was working on a full-length record with Auerbach. Though the record was never released, this is the first official recording from those sessions. Additionally, the band’s festival The Grolwers Six kicks off in San Pedro this weekend at the LA Waterfront. LOS ANGELES, CA – The Growlers take their swirling psychedelic carnival on the road this fall, bringing their Beach Goth Tour 2018 across America and into the hearts, minds, and concert halls of several lucky European cities. Led by singer Brooks Nielsen, music director Matt Taylor and guitarist Kyle Straka, the band will be joined by long-time Growlers touring members Brad Bowers (bass), Adam Wolcott (keyboards) and Richard Gowen (drums). The tour comes hot on the heels of Beach Goth 2018, the band’s annual event held on Sunday, August 5, 2018 at Los Angeles State Historic Park. This year’s lineup includes The Voidz (with Julian Casablancas, producer of The Growlers 2016 LP City Club), The Drums, Hatchie, Jonathan Richman, GWAR, Doug E. Fresh, Youth of Today, Yellowman, Bushwick Bill, Starcrawler, Kirin J Callinan and more. As with all things Growlers, the Beach Goth Tour 2018 brings the party to the people, delivering a multisensory concert experience full of variety acts, drag queens, killer bands and a mental stage design. Details on all above plus support acts will be announced soon. As always, costumes are encouraged. Since the release of their first LP Are You In or Out? In 2009, The Growlers have forged their own twisted path on the global music scene. They’re the party band that grew into a traveling circus that spawned their own event, Beach Goth. Lead singer Brooks Nielsen draws a particular devotion among Growlers fans, as does chief cohort Matt Taylor, The Growlers’ music director and lead guitarist. Their most recent LP was 2016’s City Club, produced by Julian Casablancas, which saw them expand their palette to include West African, dance, and electronic influences. The band is currently in the studio with Jonathan Rado (Foxygen) and Shawn Everett (The War On Drugs) and preparing for their upcoming Beach Goth World Tour. Please reach out to Jim Merlis with inquiries and interview requests (jim@bighassle.com). LOS ANGELES, CA – From their first LP Are You In or Out? (2009) to their latest LP Casual Acquaintances (2018), The Growlers have forged their own twisted path on the global music scene. They’re the party band that grew into a traveling circus that spawned their own hit event, Beach Goth. Lead singer Brooks Nielsen draws a particular devotion among Growlers fans, as does chief cohort Matt Taylor, The Growlers’ music director and lead guitarist. Their most recent LP was 2016’s City Club, produced by Julian Casablancas, which saw them expand their palette to include West African, dance, and electronic influences. Self-produced by core members Brooks and Matt, Casual Acquaintances brings back the grit and DIY majesty of vintage Growlers. With its overdriven synths and tender, twisted lyrics, the lead single “Problems III” bridges the gap between “Beach Goth” in its purest form and the dance floor punch that made City Club so compelling. Consisting of demos, works-in-progress and other unfinished business from the band’s City Club sessions – and featuring cover art by internet phenoms Aleia Murawski and Sam Copeland – Casual Acquaintances defies expectation, delivering a fully-formed vision that stands alongside the band’s finest, fuzziest work. The album premiered during week two of The Growlers Beach Goth Pop Up, July 26-29, at 1700 Naud St in Downtown LA in advance of the upcoming Beach Goth 2018 event held on Sunday, August 5, 2018 at Los Angeles State Historic Park. This year’s lineup includes The Voidz (with Julian Casablancas, producer of The Growlers 2016 LP City Club), The Drums, Hatchie, Jonathan Richman, GWAR, Doug E. Fresh, Youth of Today, Yellowman, Bushwick Bill, Starcrawler, Kirin J Callinan and more. Next up, the band hits the road on their upcoming Beach Goth World Tour. “Problems III” is a video about a mantis who visits a remote love hotel occupied by a motley cast of creatures. As she traverses the hallway, curiously peering into each room, she gets an intimate glimpse into each inhabitants’ nightlife. The “Problems III” video stars the following little creatures: Herb the scorpion, Froggo the frog, Noodle the snail, Ozzy and Harriot the cockroaches, Millipete and Pete the millipedes and Barbara and Deborah the Mantises. Self-produced by core members Brooks Nielsen and Matt Taylor, the album Casual Acquaintances brings back the grit and DIY majesty of vintage Growlers. With its overdriven synths and tender, twisted lyrics, the lead single “Problems III” bridges the gap between “Beach Goth” in its purest form and the dance floor punch that made City Club so compelling. Consisting of demos, works-in-progress and other unfinished business from the band’s City Club sessions – and featuring cover art by internet phenoms Aleia Murawski and Sam Copeland – Casual Acquaintances defies expectation, delivering a fully-formed vision that stands alongside the band’s finest, fuzziest work. The Growlers will hit the road this summer with a 20-date North American tour beginning with two-nights in Denver, Colorado, and wrapping with a three show Texas run in Houston, San Antonio and Dallas. As part of the tour, the band will perform a very special show with The Flaming Lips at Ogden Amphitheater in Ogden, Utah, on Thursday, July 28. The tour that includes two Eastern Canada shows (Toronto and Montreal) will mark The Growlers’ first appearance at the legendary Stone Pony in Asbury Park, New Jersey plus noteworthy live debuts at CrossroadsKC in Kansas City, Missouri, Agora Theatre in Cleveland, Ohio, Asbury Hall in Buffalo, New York and the Neighborhood Theatre in Charlotte, North Carolina. After Texas, the band will travel to the UK to debut at Green Man (Brecon Beacons, Wales) to play alongside Sharon Van Etten, Khruangbin, Idles and more. 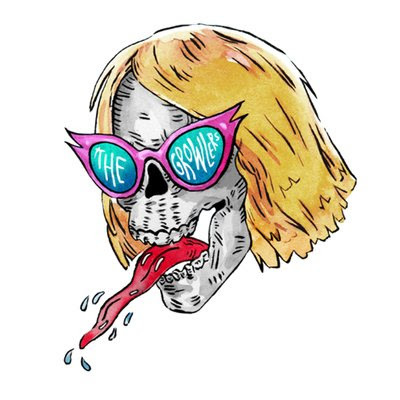 Tickets for The Growlers Summer 2019 Tour will go on sale to the public starting this Friday, March 1 (9AM Los Angeles time).